Baron's Haugh Summer IS over...but there's lots to be excited about outside! Summer IS over...but there's lots to be excited about outside! Well, it certainly is autumn now, and we’ve had a couple of cold brisk days which have been contrasted with the blustery ones which have given us plenty to do over the last few weeks. Storm Callum resulted in lots of damaged trees, some of the debris from which covered large sections of our path network, so it was all hands to the pump to keep the reserve accessible. Clearing away a fallen limb in the parkland. Photos by Mark Mitchell. We’ve been preparing for the wetter weather and higher water levels by clearing a pool in front of the Centenary hide while we could still access it. This area used to hold water, but in recent years it became choked by reed mace (also known as bulrush) so we cleared that all out and now there is a nice pond which will, fingers crossed, attract water birds such as heron, water rail and maybe the odd duck. Keep your eyes peeled and let us know what you see there! The team battling hard to hand clear reed mace, and the fruits of our labour before the water level rose. Photos by Mark Mitchell. We finished grass cutting for the year at the bing grassland and in the orchard, which always makes it feel like summer is over ☹ The volunteers put in a great shift at both sites and were rewarded with brilliant views of a peregrine falcon hunting over the bing grassland on 13 September. Mowing the meadow - a fine way to spend a sunny afternoon! Raking it all off is the hard part! Photos by Mark Mitchell. We’ve cleared a load of reed mace from around and in front of the Causeway hide too, and this has already yielded great results in terms of affording better views of species such as snipe, green sandpiper, and lapwing which have all been feeding on the wet mud around the edges. As well as these waders, a water rail scuttled across in front of us before we’d even finished which was nice! The Causeway hide post-cut. Photo by Hannah Sharratt. 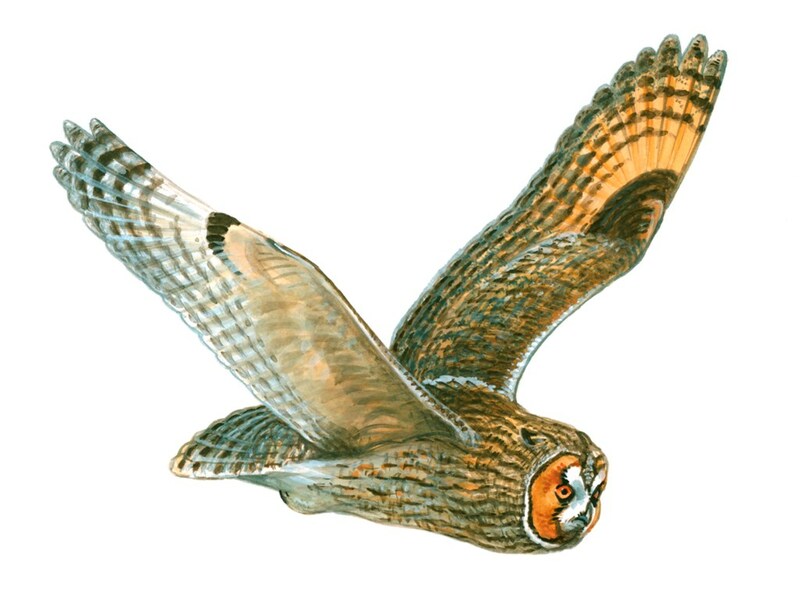 The most exciting sighting recently is probably the long-eared owl which was seen hunting near the Marsh hide at dawn and dusk on several occasions. I didn’t see it unfortunately, but I’ll be keeping my eyes peeled for this beautiful owl. In terms of winter visitors, things have started to turn up in the last week or so – we had 7 whooper swans on 7 October, along with 50 wigeon. Then, during a guided walk on 14 October we had 3 shoveler, a goldeneye and 217 lapwing – which is the highest number I have ever seen at the reserve, so it really was a great day and a nice way to kick off the autumn/winter season. A proportion of the 217 lapwing we saw from the Centenary hide. Photo by Mark Mitchell.